Who the hell sings about their brain? 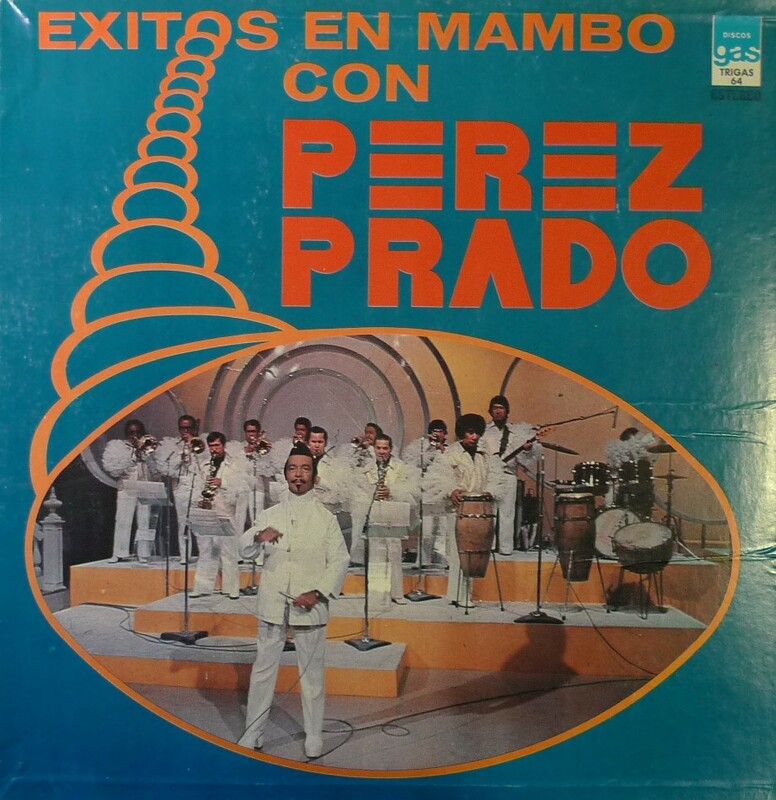 I’m gonna go out on a limb and just say it: Perez Prado was not only the king of the Mambo, but the godfather of Mexican Banda. I cannot think of any musician that played or looked a style akin to the genre Banda before its rise. This influence makes sense on so many levels. 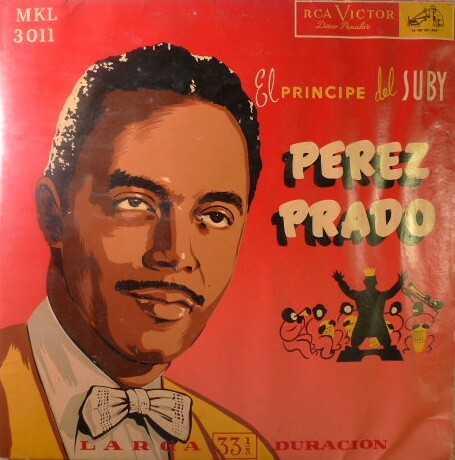 After fleeing Cuba, Prado settled permanently in Mexico City, where he gained immense popularity. 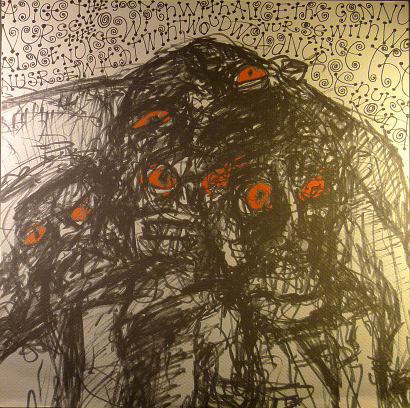 From film to tv, it seems that Perez Prado became part of the Mexican psyche. To this day countless Mexican bands have covered his songs and have emulated his showmanship. From his over-the-top kenitic sound, to the large matching ensemble. 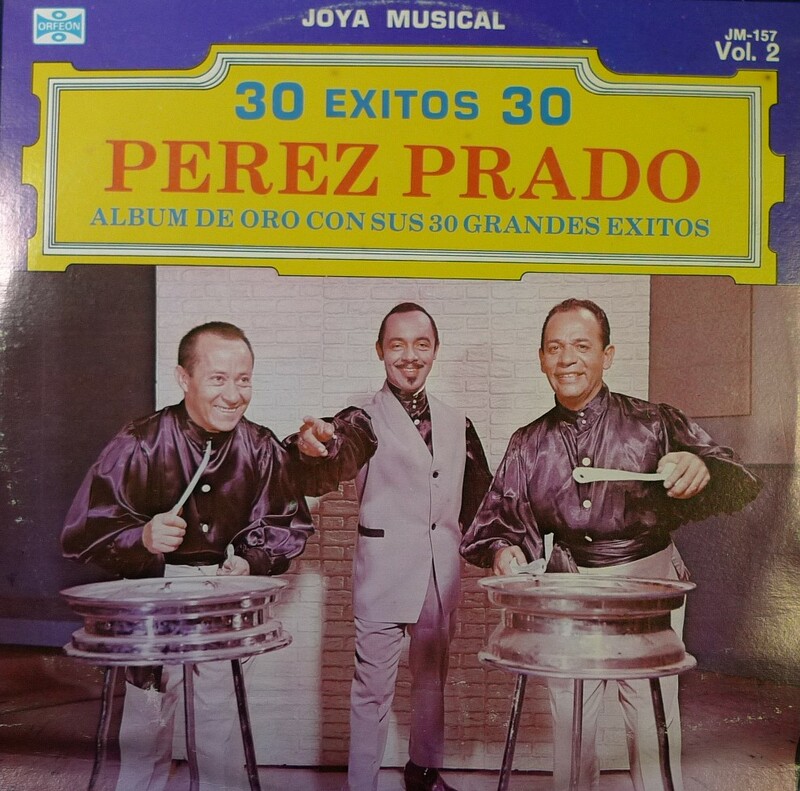 I’m sure there is not a single person from that era in Mexico who doesn’t know who Perez Prado was or what he represented. It only makes sense that the generation after his retirement/death would be strongly influenced by him. I selected several versions of the standard Lupita, probably his most famous song in Mexico, and Latin America for that matter. The thing is Prado would constantly try to reinvent himself and it is reflected in all three versions below. Yeah, it may seem a bit redundant and can be said that it was probably motivated by monetary gain. 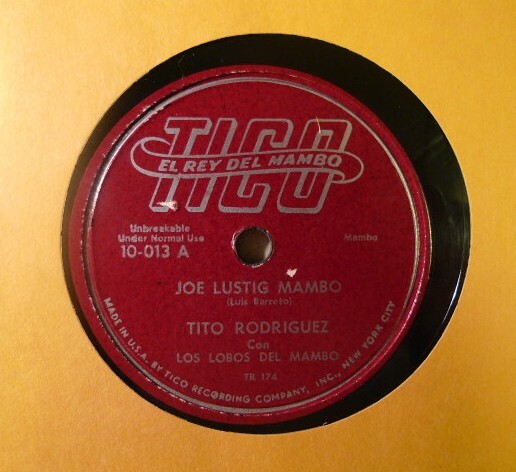 The Mexican music industry was great at repackaging El Rey Del Mambo. But honestly all three version speak for themselves. They are all really good. Enjoy! It comes as no surprise that the region in Mexico, an area of sweltering heat, would be among the first to embrace a new form of cumbia, tropical, and funk in the late 60’s to early 70’s. I’ve actually been to the Mexican state of Campeche (where Los Socios are from) and all I remember is that I had a bloody nose the entire time I was there, due to heat exhaustion and oil refinery production most likely. But, where else do you find descendants of Mayan indians with curly hair playing funk? The Yucatán. Please see my prior post Funky Yucatán Part 1. 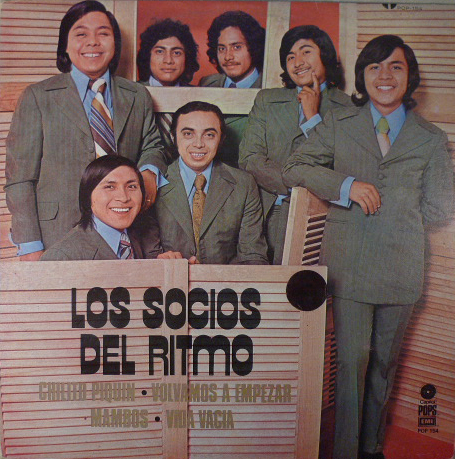 After 60+ records and a Grammy nomination, it was Los Socios Del Ritmo (the partners of rhythm) that were much more associated with a tamer version of cumbia/tropical and not the hard hitting rhythms I am presenting to you now. 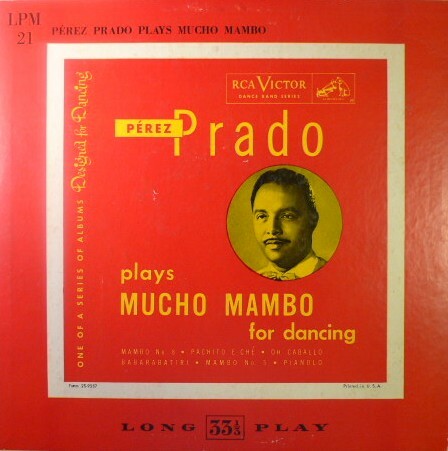 I threw in a version of Pérez Prado’s Mambo No. 8++ (a potpourri mix that heats up after 2:30 mins. or so). 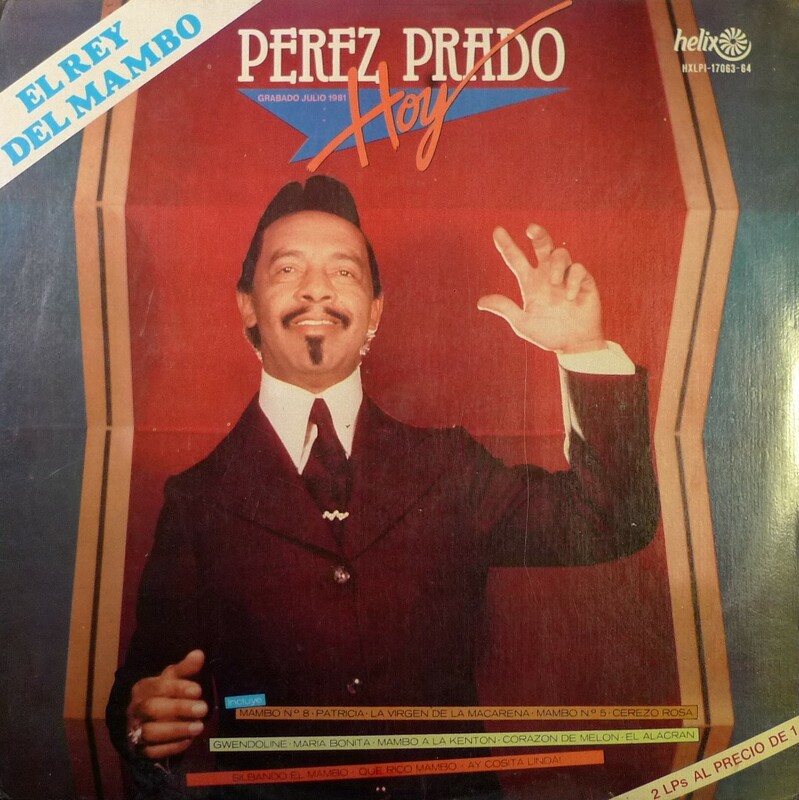 I just wanted to point out Prado’s influence and popularity at the time, an influence that extends to Norteño, Grupo and Banda in Mexico to this day. Frijol Con Puerco (pork and beans)? Who doesn’t like those? btw/fyi Mambo No. 8 is a larger file, so watch yourselves. That’s what makes reading Super Sonido such a constant treat. 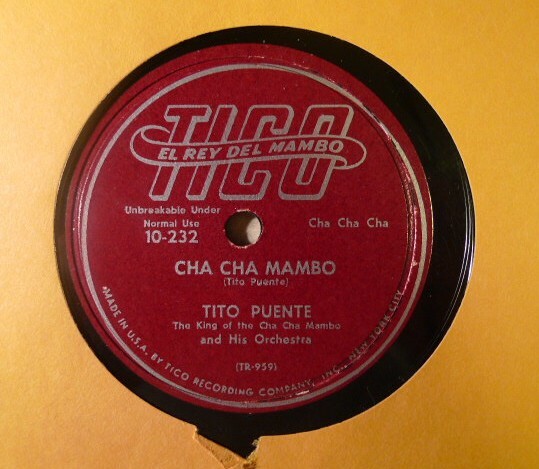 Given my ever-deepening appreciation for Latin tunes, I’m constantly learning from sites like this and re-evaluating/revisiting records in my own collection as a result. I guess it’s apropos then that all the songs I ended up picking are, themselves, covers, i.e. riffs on other people’s songs. Everything is connected. Case in point: I really enjoyed the recent post on Perez Prado. 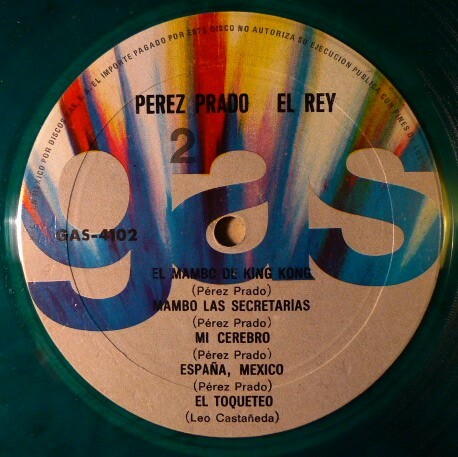 It’s somewhat confusing to realize that there were two different Perez Prado’s recording concurrently (brothers) and that most (though not necessarily) all of the funkier Prado material came from younger sibling, Pantaleon, and not the elder, more famed brother, Damaso. Not sure which brother did Mexico ’70but I’m fairly certain “Que Es Lo Que Pasa?” was recorded by Pantaleon. Now is a UK pressing of the Italian-release of Escandalo, widely admired as Pantaleon’s best work (so much so, it’s been re-released several times over). Here’s the thing about “Que Es Lo Que Pasa?”…isn’t it basically an instrumental version of Assagai’s Afro-funk classic, “Telephone Girl”? Maybe there were songwriter credits given on the album but if not, that’s a pretty brazen bite. Either way, good stuff with the percussion and a nice bank of complementing horns. Afrosound is no stranger around these parts though I had scarcely heard half the albums Franko had posted. One round in my chamber of Colombian funk though has been this cover of the Chakachas’ massive smash, “Jungle Fever.” If you were expecting Afrosound to put this through a cumbia conversion, you’ll be surprised to hear that they stick mostly to original script here, even down to the salacious moans of the nameless woman. 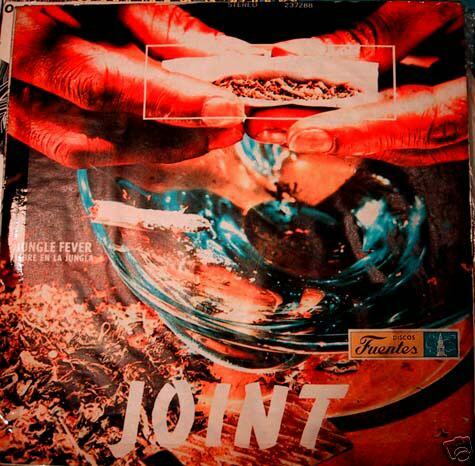 I wish I had a scan of the cover handy; it’s one of the all-time great Fuentes covers, of a giant joint smoking tantalizing on the cover. Take a long pull…hype. 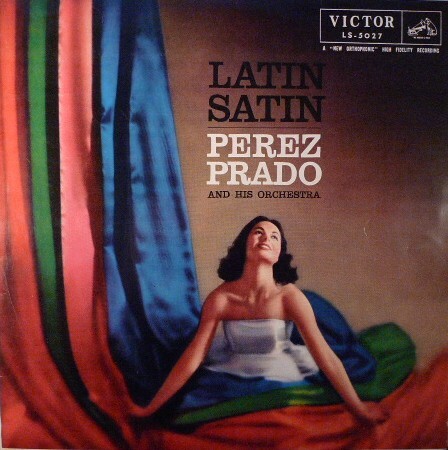 Lastly, we come back to the August post on the “bump” fad that briefly whipped through Latin music. 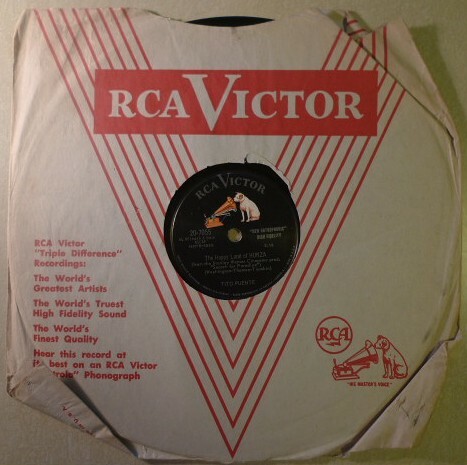 Heck, I didn’t even realize it was a genre until reading that post but it made me think of some of the Peruvian albums I have, all of which include a variation on the song, “Al Ritmo Del Bump.” I think the best known version is Otto De Rojas’ though I seem to recall Enrique Lynch had his own version too. I can’t be completely sure how much this “bump” has in common with the other “bump” but what I am absolutely certain of is that this song heavily “borrows” from “Soulful Strut” by Young Holt-Unlimited. 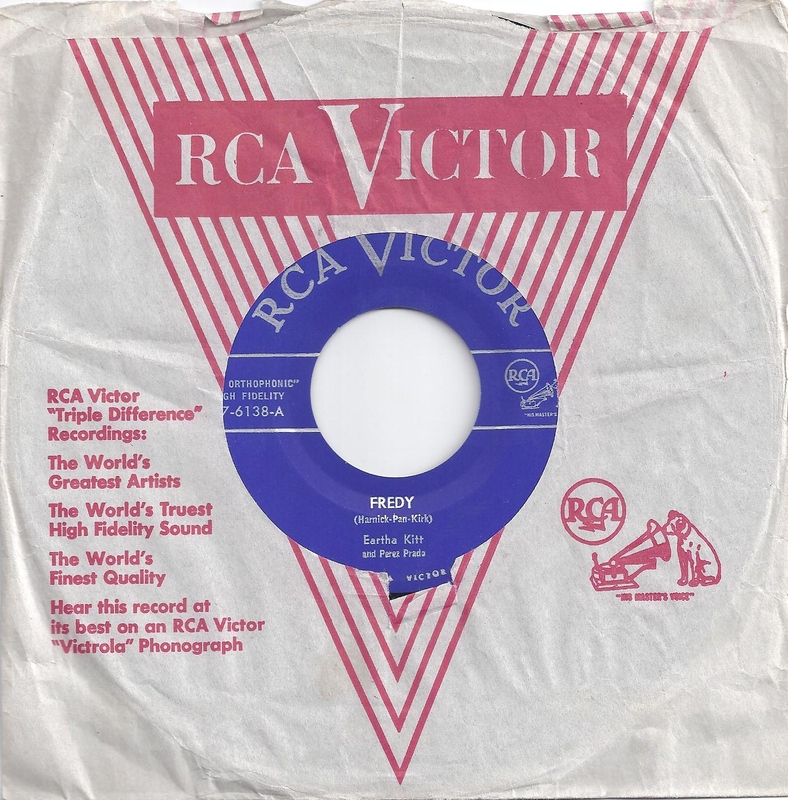 It’s not a cover, I don’t think, but it liberally interpolates some key melodies from it.